By the time Soraya conveyed her final words to the world, the career she single-handedly built was already affixed by a decade of socially conscious and melancholic music that prevailed her as a Latin Songstress and as a key activist for the awareness of breast cancer. A decade later, she remains an unforgettable force who is indisputably present across Latin households, where her music backdrops itself as the soundtrack of a new growing generation. Fleeing the harsh and scanty life of Columbia, Soraya’s parents eventually migrated to the United States where she was born as Soraya Raquel Lamilla Cuevas in Point Pleasant, New Jersey. By the age of five, Soraya was already categorizing herself as a prodigy, picking up and excelling in both violin and guitar. Her first spark of inspiration occurred in watching her uncle play the tiple while reciting the song, “Pueblito Viejo” — a traditional Colombian folk song by native composer Jose A. Morales. Later, in her high school years, she joined the prestigious N.Y.C Youth Philharmonic where she had her first orchestral performance at Carnegie Hall in New York. When Soraya graduated high school as valedictorian, she began to craft her musical skills, composing and writing her own music before attending Rutgers University. As a hopeful musician, Soraya would stray from coffee shops and rallies across campus to shed away her anxiety of performing in front of large crowds. As she slowly triumphed over her fear, Soraya was eventually discovered and offered a recording contract with Island Records in 1994. However, before the release of her debut album, her mother suffered a relapse with breast cancer and eventually succumbed in 1992. For Soraya, the presence of cancer was like an overcast shadow looming ever presently throughout her life. The illness had taken her mother, grandmother, and aunt all while she strived to achieve musical success. When her debut album En Esta Noche/ In This Night was finally released, it was dedicated to Soraya’s mother and included a tribute song of the same name. “It does not matter what is said, time doesn’t heal nearly everything” she dolefully sings in the first opening line. Soraya never strayed too far from this sentiment as she actively molded her career around the avocation and awareness of breast cancer. She eventually became the first Latin spokesperson for the Susan G. Komen foundation where she addressed the disease on multiple fronts advocating for research, global outreach, and the need to remove the stigma associated with breast cancer. As her passion for advocating for breast cancer survivors and sufferers grew, so did her musical career and success. Her first single, “De Repente/Suddenly” reached number one on Billboard Latin Pop while her album spent ten weeks on Billboard’s Top 10 Album Chart. Her musical appeal stemmed from her effortless blend in incorporating both English and Spanish into her songwriting and using her bilingual ingenuity to bring differing communities together. By the release of her second full-length album, Torre de Marfil/Wall of Smiles, Soraya had reached climactic success, achieving worldwide recognition from Latin America to Europe. In 2000, while in the midst of promoting her newest album Cuerpo y Alma/Body and Soul, the imminent shadow of illness encased all around her as Soraya was diagnosed with Stage III breast cancer. Being that it was a particularly aggressive form of the disease, Soraya immediately put a hold on her career while she underwent a mastectomy, breast reconstruction and a year of radiation and chemotherapy. As she pursued her aggressive treatment plan, Soraya created a video revealing the truth of her illness to her fans and started an open dialogue, particularly among Latinas who struggled with self-body issues after undergoing mastectomies and the physical implementations that spawned as a result from chemotherapy and harsh radiation treatment. 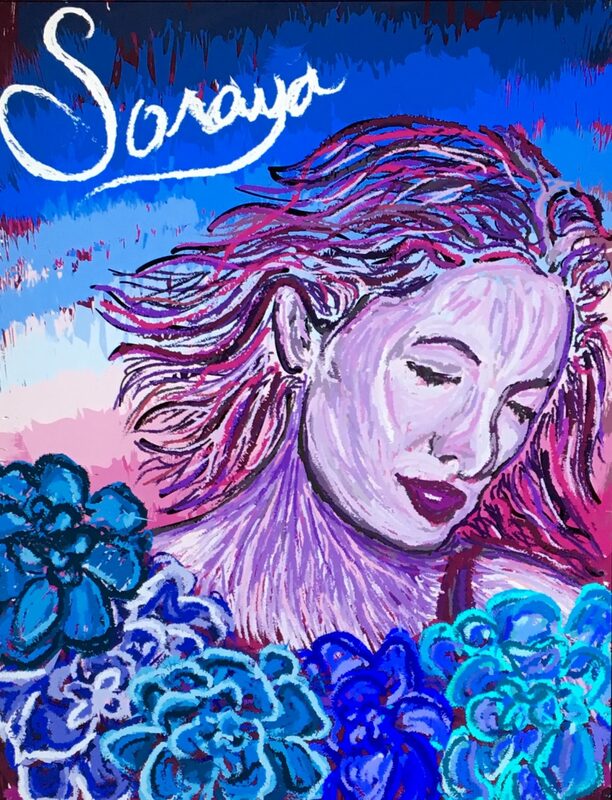 In a period of remission, Soraya returned to the music scene, releasing the self-titled album, Soraya. The songs were a direct translation of her resilient journey against breast cancer and her beliefs about faith and love. Songs like “Casi/Almost” detailed the universal struggle of losing faith while falling apart and asking “Why me, why now, why this?” Soraya received her first Latin Grammy for her self-titled work in the Best Singer-songwriter category and was later awarded by Billboard as they honored her with the Spirit of Hope Award for her strenuous work in raising awareness on the prevention and cure of breast cancer in the Latin community. Soraya died of breast cancer on May 10, 2006, at age 37. Days before her death, she posted her final words to her fans online. She reiterated that the world will always have more questions than answers it can compile, so why add to the never-ending mass by asking such a futile question as “Why me?” Her mission does not end even when her physical state has. She is vicariously living on through her achievements and through the Latin women she was able to uplift not only with her art but also with her persistent and unshakable hope.